Supports the mission of the Diocese of Memphis through management of business operations to ensure that the physical, financial and human resources of the diocese are maintained and used in a prudent and fiscally responsible manner. The best practices for financial management have evolved from our goal to be responsible stewards of the resources entrusted to the Diocese of Memphis. The following discussion allows us to describe our beliefs and standards of behavior. Not to use privileged information for gain. In our Confidentiality Agreement all parties agree not to disclose sensitive and confidential information without the consent of an authorized party. We have chosen EthicsPoint, an independent third-party company, to administer our Ethical Misconduct reporting system. Parishioners, employees, vendors may report observations of misconduct and remain anonymous if desired. Responsible managers will investigate reported incidents and respond to the person reporting the concern. The system documents the report and action taken. We have implemented a records retention schedule which is consistent with the guidelines of the U S Conference of Catholic Bishops (USCCB) and is found in the Parish Accounting Manual. Budgeting and Financial Reporting guidelines are described in the Parish Accounting Manual. Budgets are prepared annually and reviewed by the parish finance council. Budgets are prepared using the standard chart of accounts. Budget comparisons to actual are prepared monthly and reviewed at least quarterly by the parish finance council. Duties and responsibilities of the Finance Council of the Diocese of Memphis are recorded in the revised Statutes of 2008. 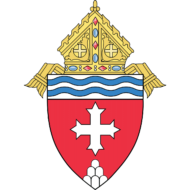 The Council is the financial advisor to the Bishop as defined by canon law. Annually the Council submits a statement to the metropolitan archbishop certifying it has executed it responsibilities. The Council works through certain committees. recommends the audit firm to engage, monitors the progress of the audit, accepts the annual report, and hears any concerns of the auditors. The audit is a consolidated audit of all diocesan activities other than Catholic Charities and Diocese of Memphis Housing. However, these entities are also audited by the same audit firm as is the Diocese. The audit firm also makes recommendations for improved financial management. Updates the Diocesan Investment Policy objectives and parameters and monitors compliance by diocesan investment managers through the investment advisor. Collaborates with staff with banking relations and optimum debt structure. Monitors compliance with the Diocesan Construction, Expansion, and Major Renovation Policy. Reviews and assists with completion of an operating budget for the Central Administration, diocesan high schools, Jubilee Schools, and Cemeteries. Monitors compliance with annual budget. Recommends and monitors employee benefit policies in the Diocese of Memphis. Approve diocesan assessments and transactions requiring Finance Council approval by canon law. The annual financial report coupled with additional financial information is presented to the public via the diocesan website. Go to Annual Report. All bank accounts and investment accounts must be recorded on the general ledger. At the Catholic Center all purchases greater than $1,500 must be approved by requisition. Spending limits are in place for all diocesan personnel. A Clergy and Religious Remuneration Policy stipulates the compensation and benefit levels. Collection and cash counting procedures as well as other financial policies and procedures are included in the Parish Accounting Manual. Parishes in the Diocese follow a standard chart of accounts. The Diocese created a regional controller position to assist parish financial staff with compliance with proper internal controls and best practices. The parish council and finance council are integral to assisting the pastor with sound financial management. Questions concerning these documents should be directed to Kathy Owings, Regional Controller.